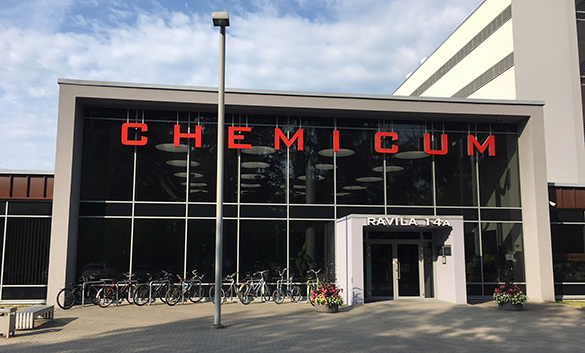 Tartu, Estonia — Disconcertingly it says “chemistry”, but there really is a geology department inside this building on the University of Tartu campus. 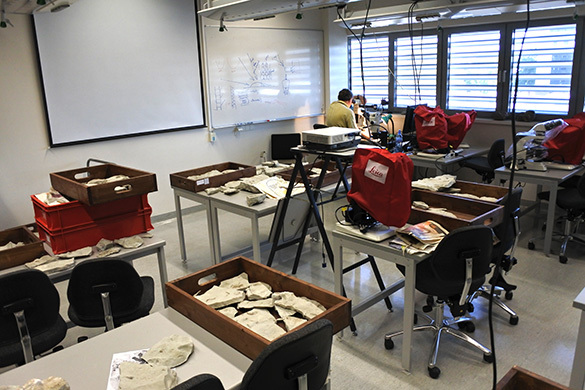 The Geology Department is part of the Institute of Ecology and Earth Sciences. 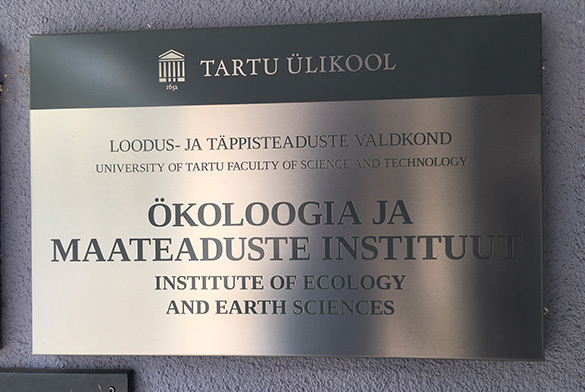 We are very impressed with their facilities and friendly academics. Here again is the lab room loaned to us for our stay. Bill is working in the back. 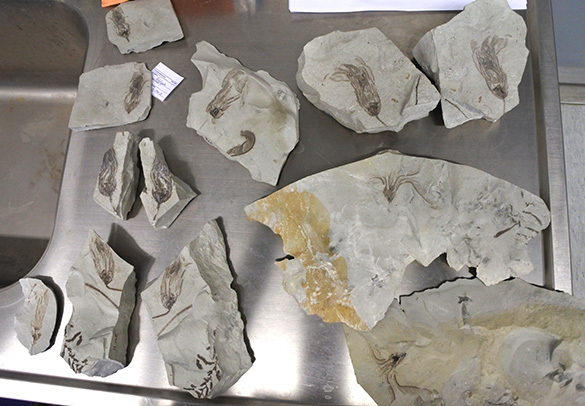 The crinoid-rich specimens from the Kalana Lagerstätte at the Kalana Quarry (Silurian, Llandovery, Aeronian) are spread out through the room. We are very fortunate to have such space. This is my workstation with my trusty laptop. 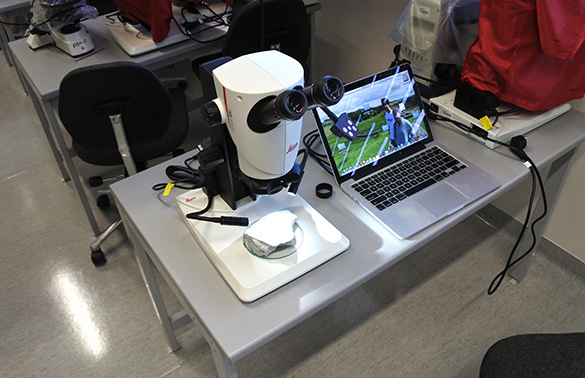 The Leica microscope is fantastic. 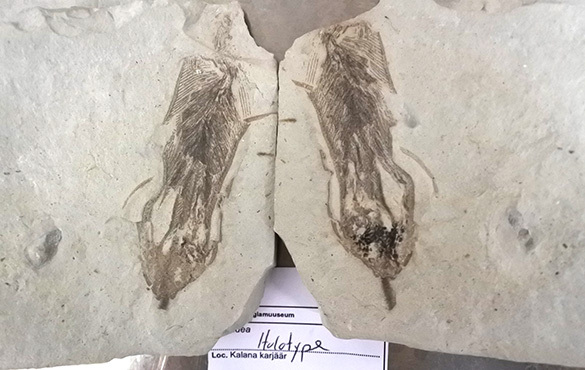 We are examining the crinoids preserved on this dolomicritic limestone slabs that were carefully collected by university staff from Kalana Quarry in central Estonia. The crinoids are quickly apparent because their beautiful hair-like pinnulate arms are visible. I’ll write more paleontological details later, but here is the part-counterpart of the best specimen of what will be a new crinoid taxon. From the bottom is the cylindrical stem, followed upwards by the conical calyx, and then the long arms with thin extensions called pinnules. You can also see some black smears of carbonaceous material on the right. These specimens are compressed and mostly decalcified. Their preservation is still a bit mysterious to us. This is why we’re here so far from home! 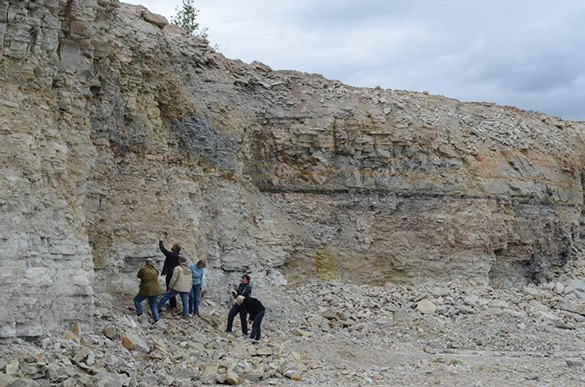 Here is an image of the Kalana Quarry, where the Lagerstätte is found, from this wonderful Estonian geology website.